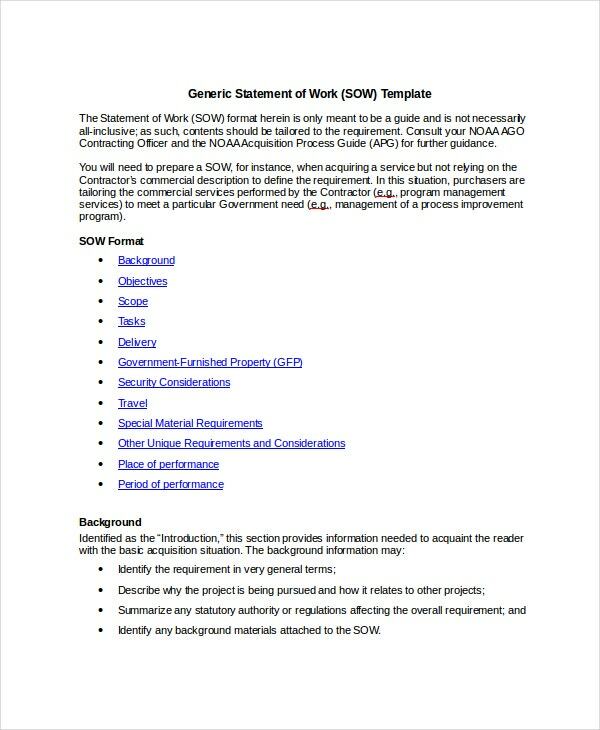 Contractors who give their service to their clients must have a statement of work template for laying down all their responsibilities and scope of work in their contract. 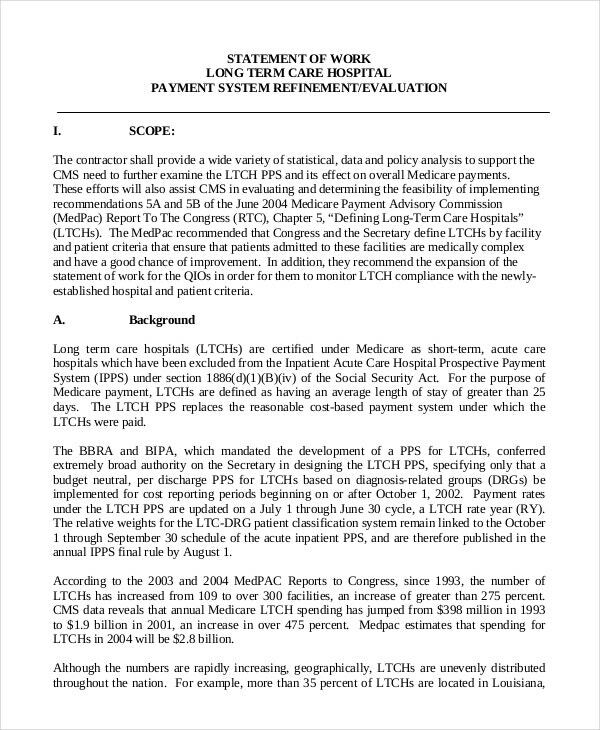 Usually found in project management, this Statement Template summarizes the entire work that must be done along with the standards, expected deliverables, needed resources, methods to apply along with the compensation for the service. 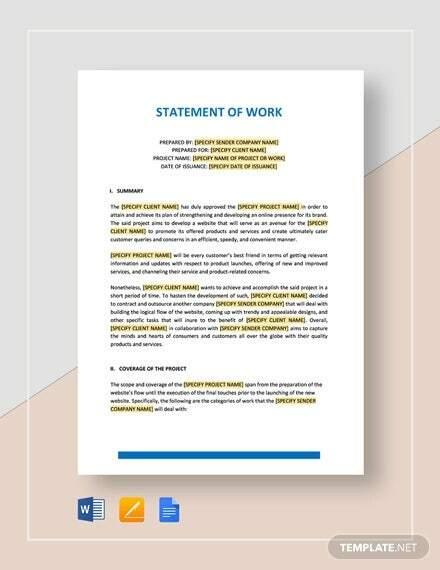 You get more than eleven simple statement of work templates in our site for the appropriate document that contractors can apply in their partnership. 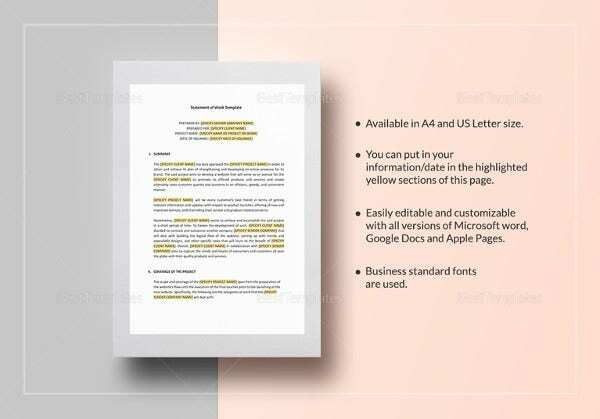 This template stands as a formal document where it lay downs the overall job scope, task, and other miscellaneous information for a service provider to their clients. It defines all the service, work schedule, and the clients expected service from them as their consultant. 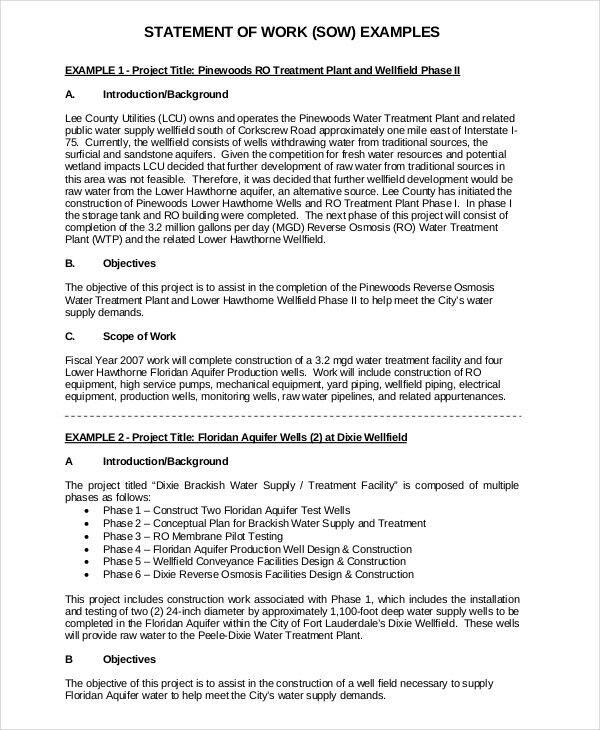 This journal-like template outlines the projection completion with the contractor outlining their task in the completion of it and the responsibility of the client as well. 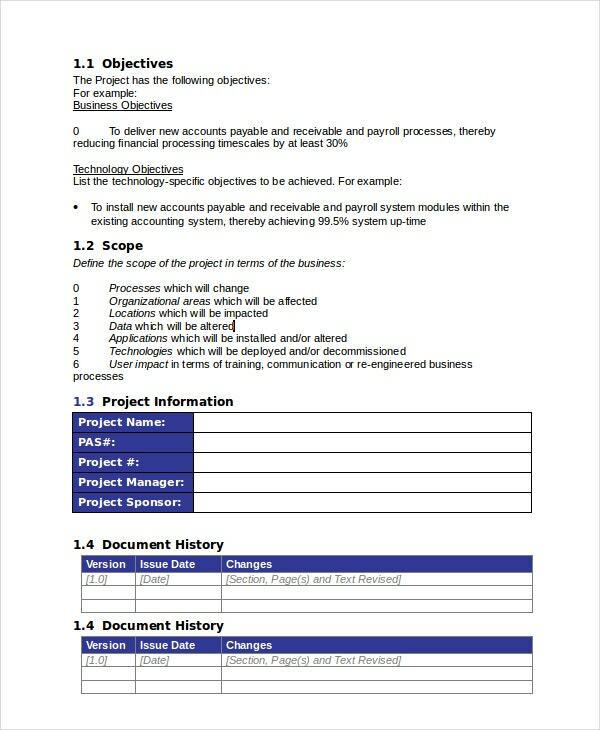 The objectives, limitations, and compensation for the project are all written in this template. For software companies that give information and website services, this is the one suited for them. 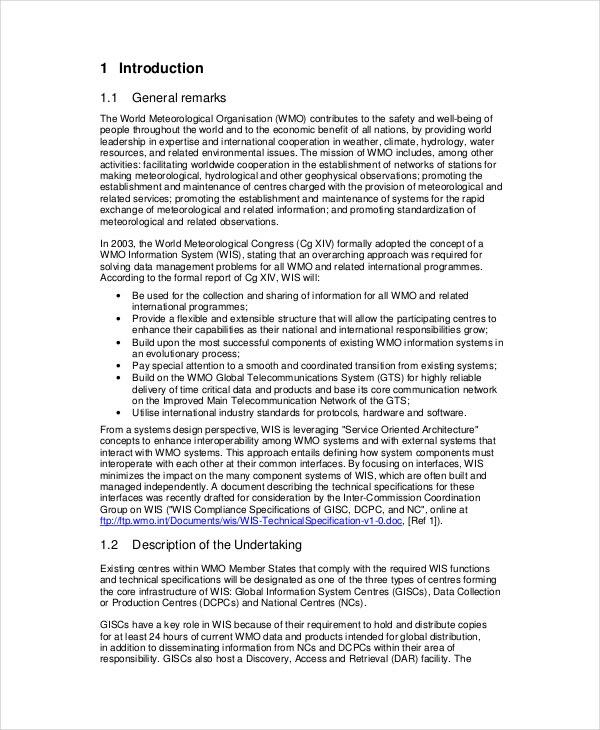 Computer programming, software development, and internet providing task are illustrated as well as defined in this document. This template reviews and evaluates the scope of service in addition to the task that the contractor has in his assigned project. 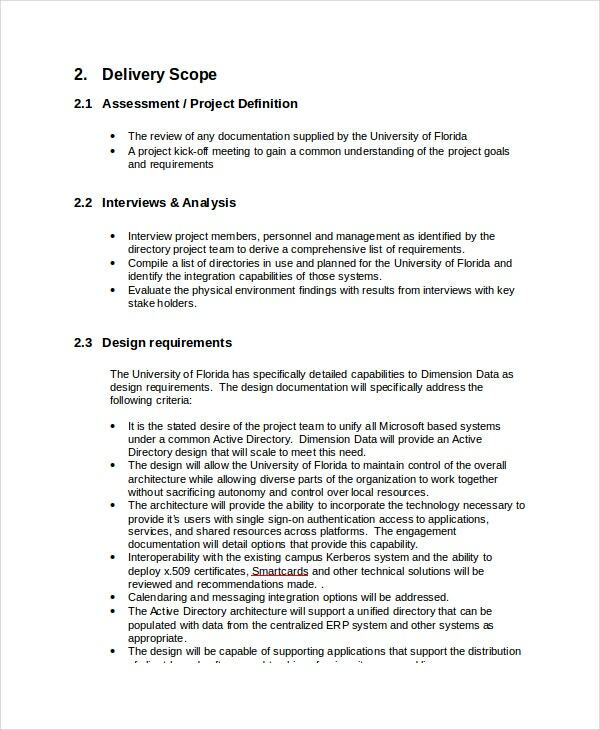 It has set of questions, requirements, and deliverables to meet the standard that the client wants for the project. 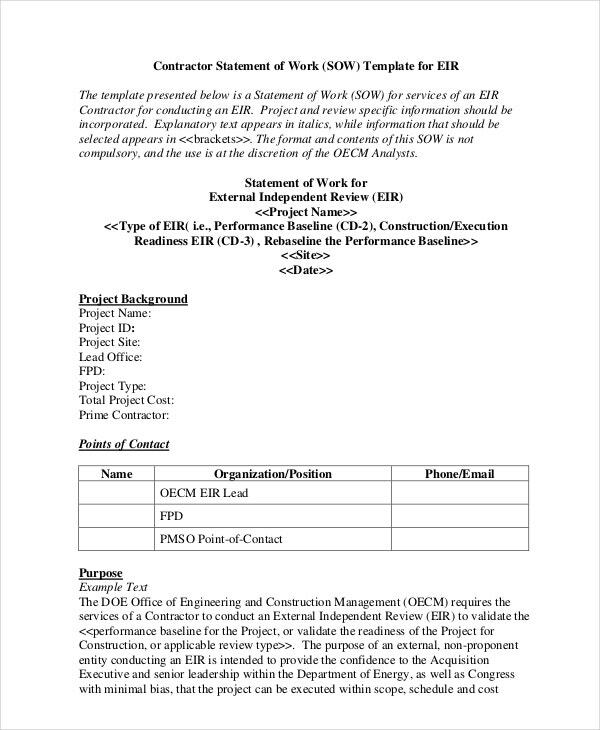 In construction projects, this file has all the needed requirements of the construction company from the construction criteria, general requirements, responsibilities, and the set of deliverables. This file is specified only for construction projects and its contents for its proper completion. 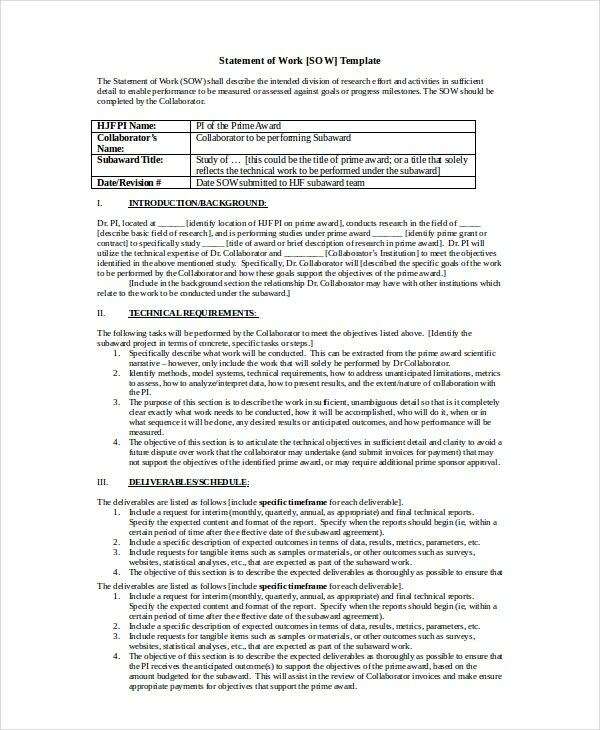 Construction companies, service providers, project developers, consultants, and contractors that will have a big deal with their clients will be required to have this template in every contract signing they will have. Their clients can find this template obliging as they will know the payment they will give to their assigned contractor whenever they hire one and will find out what are the services they will get from them. 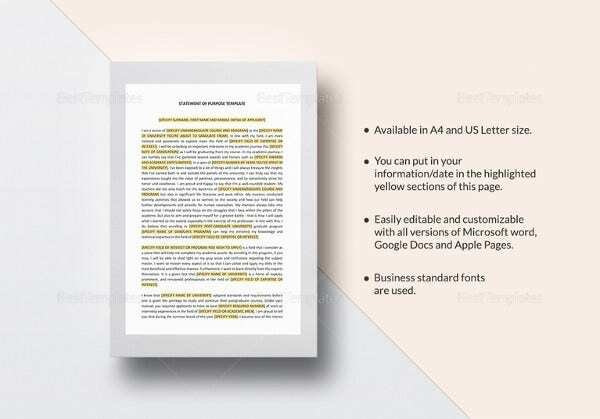 For companies that offer different services and products to their clients, they can give them their complete set of packages using this template so they can create their contract that matches their both demands and terms. 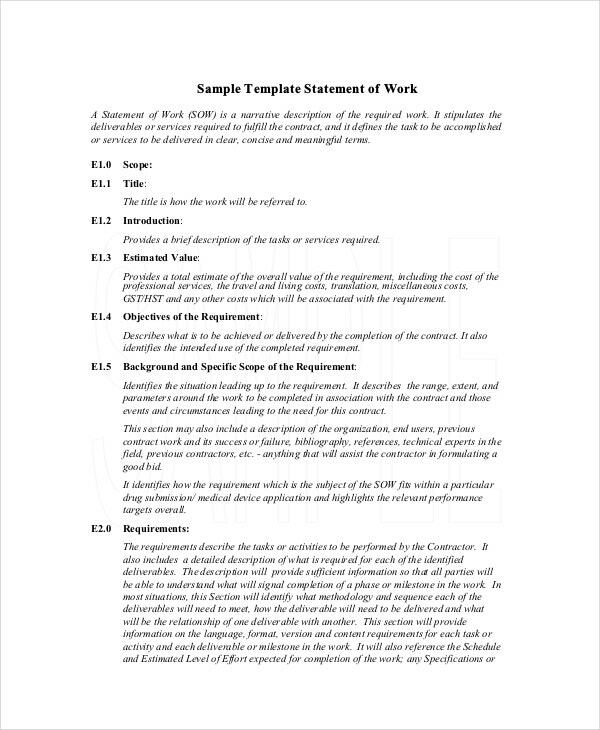 What are the Benefits of a Statement of Work Template? 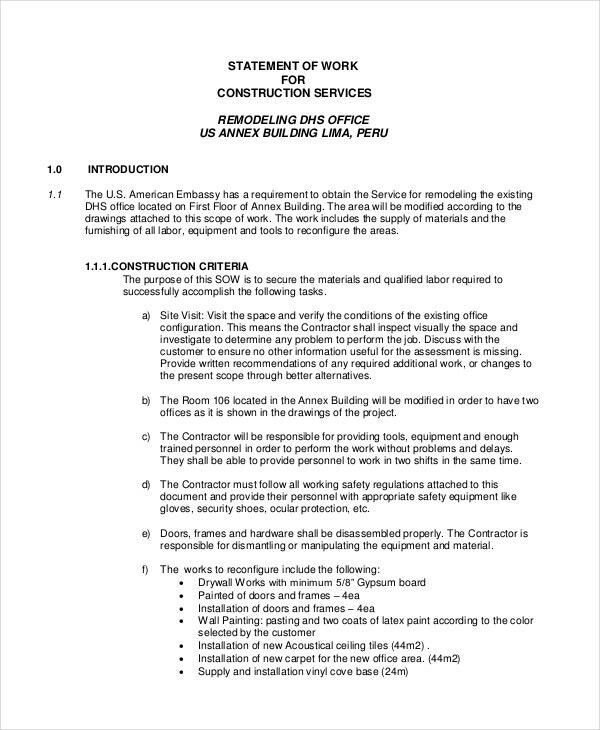 This template is needed during the closure of a deal between the contractor and client; it shows the other terms and responsibilities of the contractor to their clients which are not included in the contract. It supplements the assigned tasks and limitations of the contractor to their clients so that a proper division of tasks and a proper compensation can be given to them. 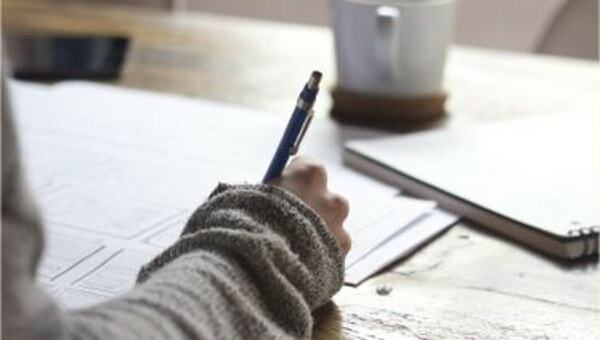 For any claims and penalties demanded by the client if the service standards are not met, this document will be the solid basis to how much the refundment or replacement will be given to the client. Having a harmonious business partnership between a client and a contractor is met in this template. 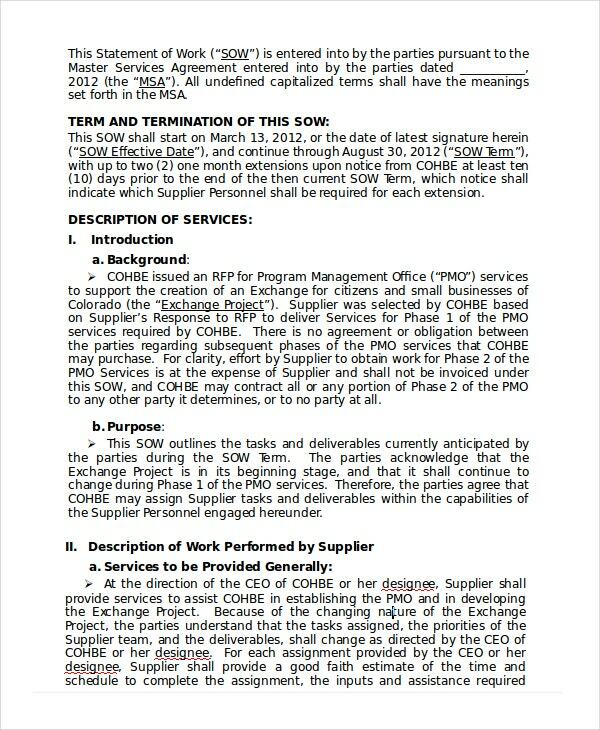 Service providers can also see Scope of Work Templates, Work Proposal Templates, and Income Statements which are vital in their contracts if there are agreements being done with their clients. So get them all now and sign the contract you want!